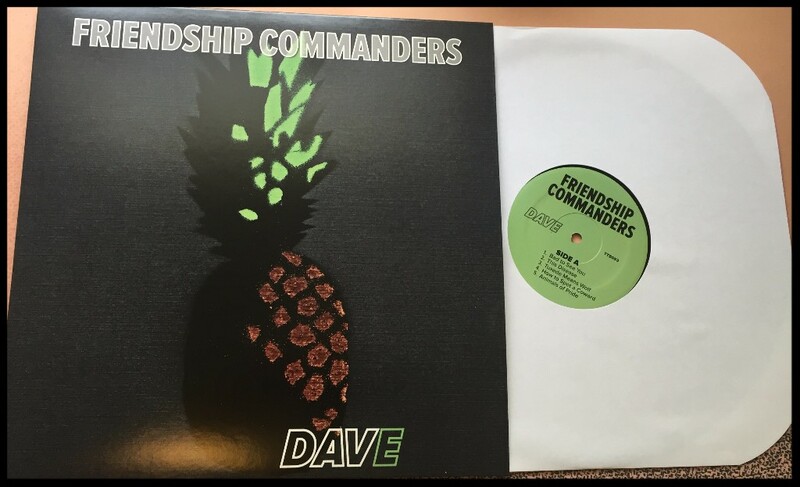 Friendship Commanders: TOUR DATES, VINYL, AND PMA! TOUR DATES, VINYL, AND PMA! We're heading back out on the road this month and into August. 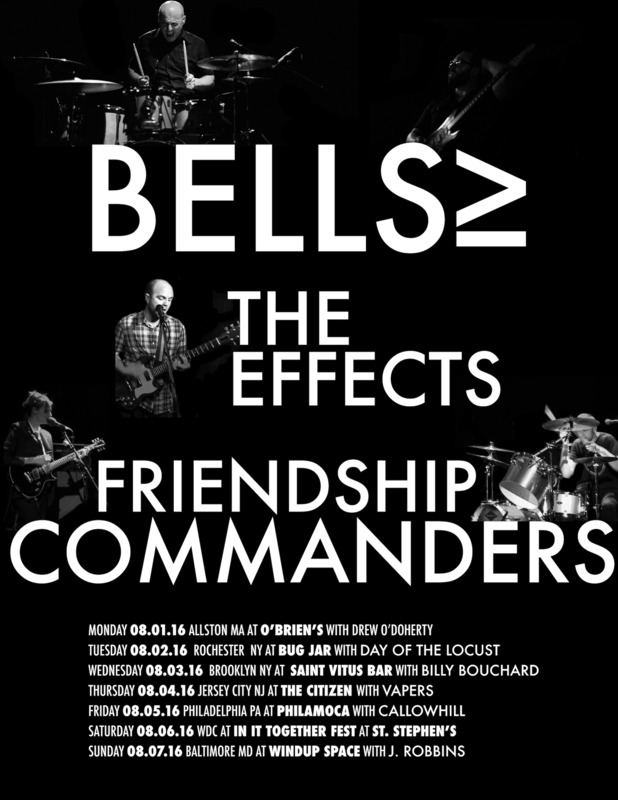 We're thrilled to be doing seven dates with BELLS≥ from Brooklyn and the EFFECTS from DC, as well as a few shows on our own. Other great bands on the shows include VAPERS, Drew O'Doherty, Billy Bouchard, Callowhill, Day of the Locust, and J. Robbins. Please check out the complete list of dates at the very bottom of this message and see if we're coming to your town! The vinyl copies of DAVE came in and they're so rad. Vinyl comes with a digital download of the album, too. Grab one while they last! The letters that B. wears on her stage suit stand for "Positive Mental Attitude." She made a few PMA bracelets for people who requested them, so we decided to sell them as band merch. 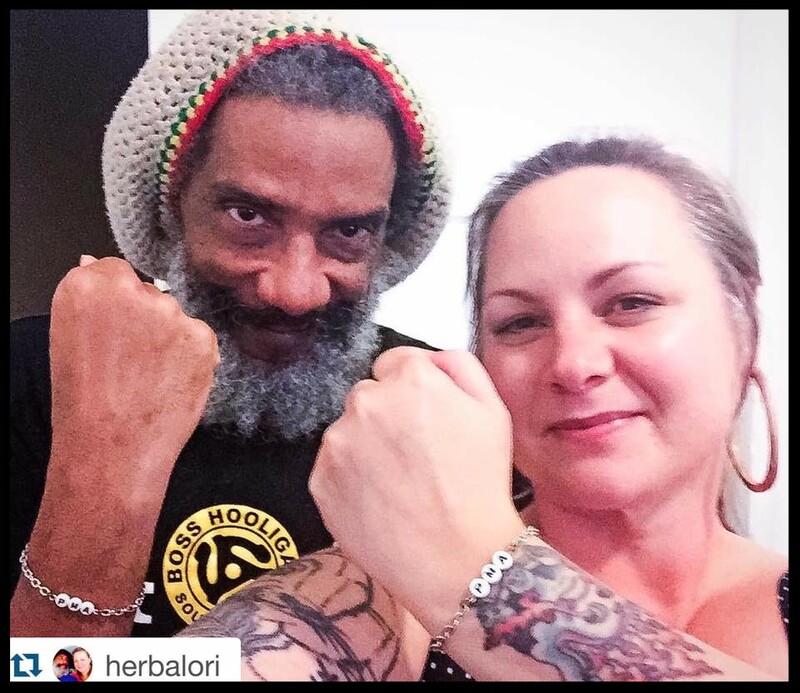 Part of the proceeds benefit the health funds for HR and Dr. Know of Bad Brains, longtime champions of PMA. Here's a picture of HR himself, rocking his, alongside Lori Carns Hudson. We'd love to send one to you and spread the positivity! Buy here. Also, if you haven't watched the video for "Animals of Pride" yet, check it out. Our second video, for "NMA," is in the works now.